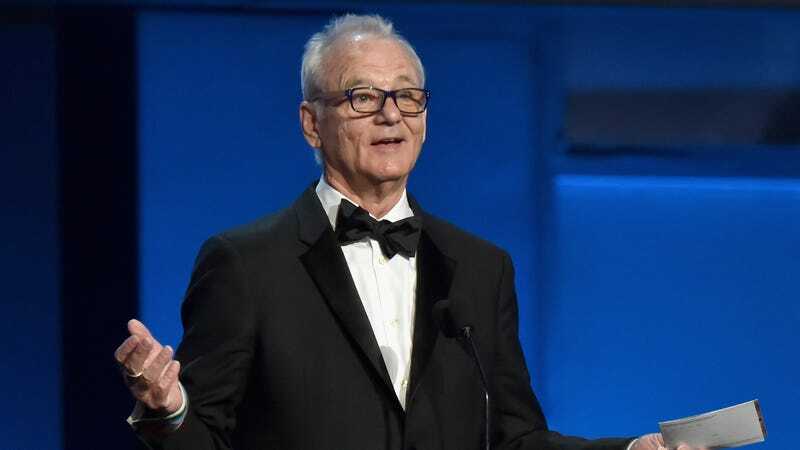 Charleston City Paper reports that Bill Murray, aspiring restaurant magnate and sometime actor, along with his business partners, have broken ground on a food truck park in Charleston, South Carolina. Murray, Brad Creger, and Mike Veeck first announced the project, then called Food Truck-O-Rama, three years ago. This week, they told The Post and Courier that they intend to open the park, now called The Container Bar, by summer’s end. It sounds pretty cool! Per The Post and Courier, the group consulted with “Cory Burke of Roti Rolls, one of Charleston’s earliest and arguably most successful food truck owners,” who offered insight into the operations of food trucks. As a result, the park will provide electrical outlets for five or more trucks, sparing them the use of generators. Also on site: plenty of parking for guests, indoor seating, a bar, and restrooms. Live music is also part of the plan. The city does not allow food trucks to park on public streets. Instead, it has 17 public right-of-way spaces for food cart vendors that are up for bid once a year. Trucks are relegated to finding private parking lots, like the True Value on East Bay, which has limited walk-by traffic. It’s hard for new trucks to set up there and build a business, says Burke, who found that the Farmers Market, catering and festival events were a better business model for Roti Rolls. This isn’t Murray’s first foray into the restaurant world. This trio previously opened Rutledge Cab Co. in Charleston; the restaurant lists Murray as “CFO (Chief Fun Officer).” Per The Post and Courier, the restaurant has sold 45,000 burgers in the last year. Murray has also opened two Caddyshack restaurants with his brothers—one in St. Augustine, Florida, the other in Rosemont, Illinois. Two last details of note: The Food Truck-O-Rama Facebook page is dominated by a picture of two kittens, and the lot itself used to be home to a family of Pygmy goats.